Provide comfort for the family of Speranza Curci with a meaningful gesture of sympathy. CURCI- Mrs. Speranza Curci (Nee Lombardi) passed away peacefully at the age of 84 on January 15, 2019 with her family at her side at St. Joseph’s Hospice Unit. She was born in Avella, Avellino, Italy on March 19, 1934. Speranza enjoyed the family gatherings for any occasion and preparing many of her delicious meals with a glass of wine. She also took pleasure in playing a good game of cards with her family. She is survived by her sons Nicolas and Antonio Curci, Daughters Connie and husband Terry Bochko and Joanne Curci, Grandchildren: Monique, Vincent (Michelle), Corey, Ryan (Megan), Jordan, Alexa, Jordyn, and Christina; Great grandchildren: Dillan, Riley, Deanna, and Dalen; also survived by sisters Angelina and Maria in Italy; sisters-in-law: Franca Lombardi, Rafaela Napolitano, Lucia (Pasquale) D’Angelo and Antoinetta Curci; and brother-in-law Antonio Curci. She will be sadly missed by many nieces and nephews and other family and friends in Canada and in Italy. Predeceased by her husband Vincenzo Curci, father Nicolo and mother Maria Grazia Lombardi; mother-in-law Concetta Curci; grandson Christopher Bochko, brother Aniello Lombardi, brothers-in-law Angelo and Giovanni Curci, sister-in-law Josephine Curci and niece Maria Grazia Lombardi. Funeral services will be held on Friday, January 18, 2019 at 2:30 p.m. in the Sargent & Son Funeral Chapel, 21 N. Court Street with Rev. Luigi Filippini presiding. Visitation for friends will be from 1:30pm until 2:30pm. As expressions of sympathy memorial donations to the charity of your choice would be appreciated. On-line condolences may be made at www.sargentandson.com. To send flowers to the family of Speranza Curci (Lombardi), please visit our Heartfelt Sympathies Store. We encourage you to share any memorable photos or stories about Speranza. All tributes placed on and purchased through this memorial website will remain on in perpetuity for generations. 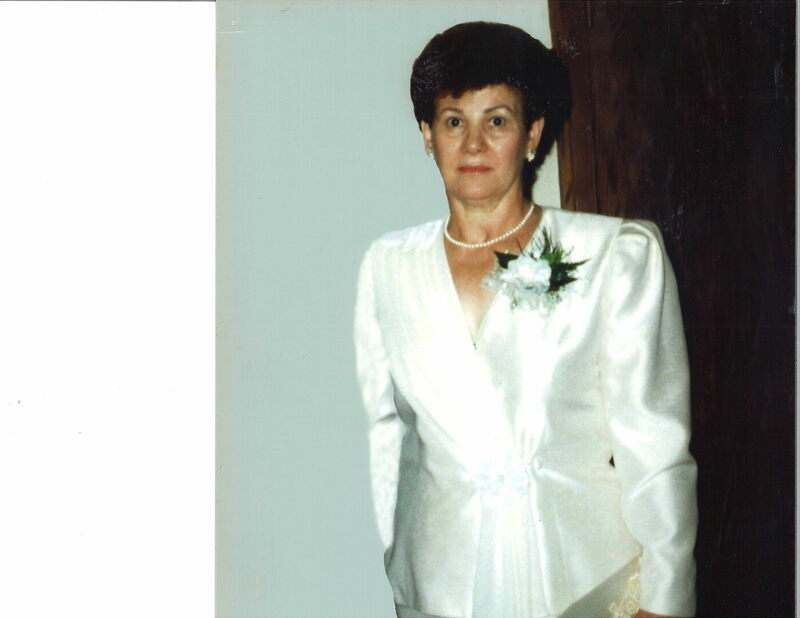 Provide comfort for the family of Speranza Curci (Lombardi) by sending flowers. I will always remember Speranza's huge heart, sense of humour and famous sponge cakes. Our condolences. Doug and Lucy Belanger.